This year’s BusNSW Management Seminar could well be the platform for heated debate with the appearance of the state’s transport minister Gladys Berejiklian high on the list of industry speakers. The seminar is effectively the state’s annual summit meeting of bus industry operators, with delegate numbers likely to swell this year given the current tumultuous period of contract negotiations and route tenders. BusNSW Executive Director Darryl Mellish says Berejiklian is expected to cover NSW Government initiatives, including the implementation of the Long Term Transport Master Plan, changes to passenger transport legislation, and the renewal of bus contracts. "The seminar provides operators, government representatives and industry suppliers the opportunity to expand their knowledge on current issues and changes happening to, and within, the industry," Mellish says. Other topics presented during the seminar include an address from Institute of Transport and Logistics Studies Director David Hensher on performance under different contracting regimes, as well as an update from BIC Executive Director Michael Apps on the ‘moving people’ campaign. Mellish says the seminar’s theme ‘Adapting in Dynamic Times’ reflects the need for the industry to evolve and continue to adapt to changes being driven by government, technology and the community. Also featuring at the seminar, which runs from Friday April 26 to Saturday April 27, will be a keynote motivational address from former Australian test cricketer Kerry O’Keeffe. 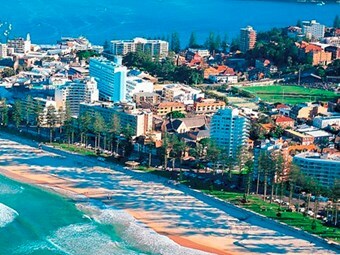 The event will be held at Manly’s Novotel Pacific hotel, with delegates lining up for a day of golf on Friday April 26 at Warringah Golf Club, followed by the day-long seminar on Saturday April 27. A Saturday night ‘beach party’ themed dinner at the hotel’s grand ballroom rounds out this year’s event. For more information check the BusNSW website at www.busnsw.com.au.